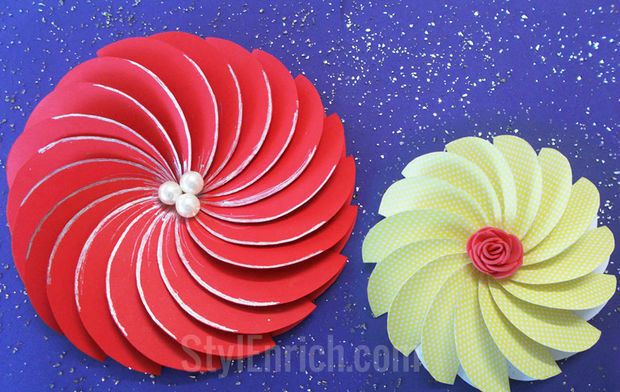 Avid blogger and crafter, Ananvita, shows us how to make these pretty and easy spiral paper flowers via her youtube channel: StylEnrich. All you need is a little bit of time, some colorful paper, scissors, glue and adornments (glitter, beads, etc). It would make for a fun creative party project. Ananvita’s flowers provide a wonderfully easy way for us to be creative. FYI…The more we do creative activities to more we become creative in all areas of our lives.